A Modulift Spreader Beam can be easily adapted using one of our specially designed Additional Modulift Components; these adaptations enable your Spreader Beam to be used in various ways over a number of lifts, maximizing its use and providing a cost effective heavy lifting solution. As well as economical benefits, the Cone Adaptors or Step-Down End Units ensure your lift will be lighter and easier to handle, please see below for details of how these components work and can assist your lift. Modulift Logistic Cradles are an essential part of safe and efficient handling and storage of Modluft Systems. Designed with a storage position for each component, the cradles enable instant recognition of any missing components. 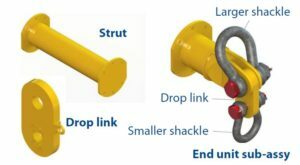 A range of alternatives to standard Drop Links are available to help you with your rigging needs. Clevis Drop Links will rotate the shackle orientation by 90 degrees. Delta Plates enable 2 slings to be connected with separate shackles. The Modulift Drop Link Assembly Aids are a tool used when rigging drop links into heavier Spreader beams. It enables the drop link to be supported and aligned in position while a shackle is being fitted. Drop Link Assemblies are available for the MOD 250. 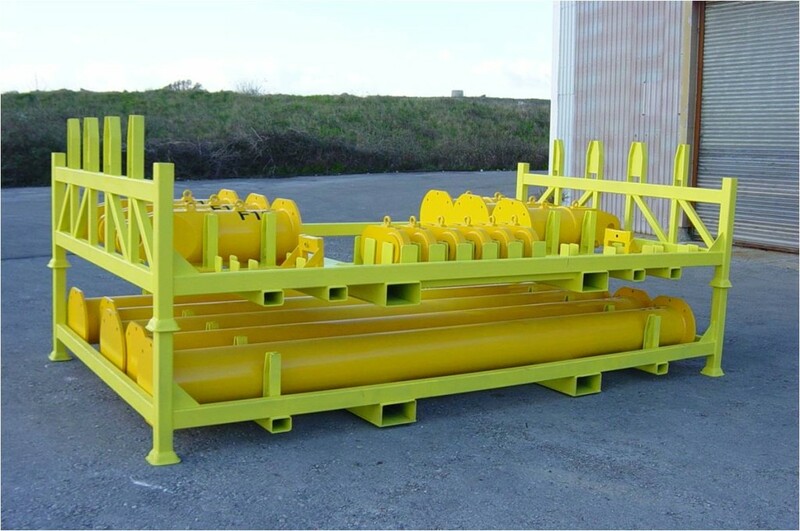 For requirements with longer spans and lighter loads, these enable a Spreader System to be optimized to suit a particular need. Step Down End Units are designed for smaller sizes up to MOD 70. Cone Adaptors are used for the larger sizes.